More Cash per Balance Sheet, How Much is Too Much Cash? 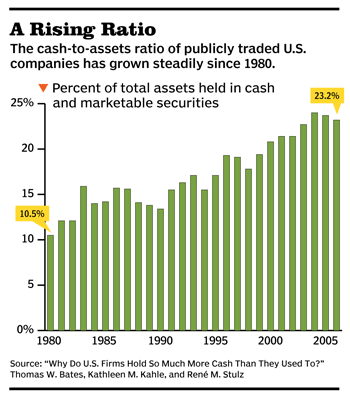 Corporate balance sheets are swelling with cash, reaching $1.8 trillion at the end of 2012. Many accuse companies of hoarding, but there’s more to the story. 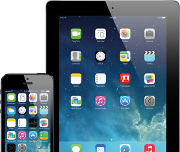 Apple, $145 billion. Microsoft, $74 billion. Google, $50 billion. Cisco Systems, $47 billion. At recent tally, these were the top four U.S. companies in terms of their holdings of cash and short-term investments. Total liquid assets of domestic nonfinancial companies at the end of 2012: $1.8 trillion. Such eye-popping sums have aroused public indignation. Investors are insisting that companies stop hoarding their cash and start paying it out. Politicians are demanding that they start spending it, in order to create jobs and boost the economy. But companies are already returning cash to shareholders in record amounts. S&P 500 firms paid $282 billion in dividends in 2012 and are on track to disburse $311 billion in 2013. Buybacks are on the rise, too, as is merger and acquisition activity. Whether or not individual companies are hoarding cash is debatable. But studies show that among all publicly traded companies, the average ratio of cash to assets has been steadily rising for the last 30 years. Researchers have found good reasons for this rise, but hoarding by entrenched managers isn’t one of them (more on this below). Similarly, speaking of the need to maintain a “fortress balance sheet,” General Motors CFO Daniel Ammann stressed the need to “have a large amount of liquidity available at all times” (“In the Fast Lane at GM,” January/February). And at Merck, CFO Peter Kellogg defended the pharmaceutical giant’s then-$23 billion in cash: “We want to guarantee that the R&D pipeline is never interrupted” (“The Best Medicines,” March). At some point, determining whether a company has too much cash is a subjective judgment, depending on the eye of the beholder. 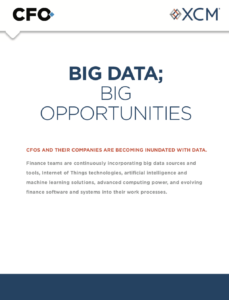 Recently, CFO asked four expert beholders how they see corporate cash today, and what might entice companies to start using more of it. Here’s what they said. At the end of the first quarter of 2013, the S&P 500 “old” industrials (a group excluding financial, utility and transportation firms) held $1.1 trillion in cash and current assets, an all-time high for the group. Its cash flow also appears to have set a record in the quarter, according to Howard Silverblatt, senior index analyst at S&P Dow Jones Indices. Companies want to make acquisitions, but they’re holding back because of fear of the unknown, Silverblatt believes. A long string of economic events — the fiscal cliff and federal budget sequester, the recession in Europe, the crisis in Cyprus, the Japanese stimulus and continuing Fed stimulus, health care reform — has made for an uncertain environment. “We don’t know what tomorrow’s going to bring — companies don’t know how to plan going forward,” he says. Among academics, one of the “traditional stories” for cash holdings is “precautionary purposes,” says René M. Stulz, professor of finance at The Ohio State University’s Fisher College of Business. “If life becomes more dangerous, you’re going to hold more cash — and life has become more dangerous,” he says. 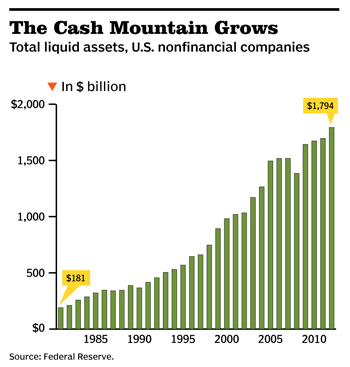 But as his research demonstrates, Corporate America’s cash mountain began to grow long before the financial crisis. Stulz and fellow researchers Thomas W. Bates and Kathleen M. Kahle trace its buildup over the past three decades in a 2009 Journal of Finance paper, “Why Do U.S. Firms Hold So Much More Cash Than They Used To?” The authors show that the average cash-to-assets ratio for publicly traded U.S. industrial firms more than doubled from 1980 to 2006, from 10.5% to 23.2% (see chart below). By 2006, the average company in the sample had enough cash and short-term investments to retire all outstanding debt. The increase in cash holdings was concentrated among three groups: companies that didn’t pay dividends, companies that recently went public, and companies in industries with the greatest increases of “idiosyncratic” (non-market-correlated) volatility. No surprise there, perhaps. Yet the cash-to-assets ratio rose for all sizes of companies during the study period; its increase cannot be explained by the huge stockpiles amassed by companies like Apple and Microsoft, or by multinationals with large amounts of cash “trapped” overseas by the U.S. repatriation tax, the researchers say. As for the role of taxation and foreign cash, “we were remarkably unsuccessful in showing that the explanation for holding so much cash abroad is taxes,” says Stulz. “Taxes will tell you where to keep the cash. If you want to have a safety blanket, keep it abroad until you really need it. But they won’t tell you the amount the typical multinational will keep.” From 1990 to 2006, the average cash ratio of companies with no foreign taxable income rose from 14.3% to 25.3%, compared with an increase from 10.8% to 20.2% for companies with foreign taxable income. And as for cash hoarding, Stulz and his co-authors found no evidence for “agency stories” — that large cash holdings are due to entrenched managers unwilling to distribute cash to shareholders. If companies are paying out so much cash in dividends and buybacks while continuing to accumulate it, they must be very profitable — and they are. “There are some remarkable numbers out there,” says John Graham, professor of finance at Duke University’s Fuqua School of Business. U.S. companies have been averaging close to 10% earnings growth per year over the last decade, he notes, thanks to greater productivity and cost-cutting. Meanwhile, the real economy has been growing only 2% to 3%. “What would you do if you were having the best financial years of your life?” asks Graham. “You’d be spending some of your money, saving some of it.” Or perhaps saving a little more of it: having just gone through a major recession when credit was extremely tight, “it’s kind of prudent for companies to say they want to be more self-financed should that happen again,” Graham says. That said, Graham is no fan of fortress balance sheets, either. “GM was making cars that people didn’t want. What did it take for them to finally produce the cars they needed to? Bankruptcy.” Had GM had plenty of cash on hand, “they might not have woken up to the fact that they needed to change their cars,” says Graham. 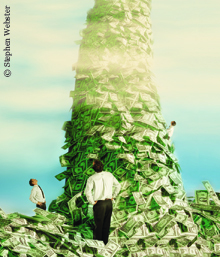 The $1.8 trillion in cash held by U.S. corporates is a very big number, but it should be kept in perspective, says Anthony Carfang, partner and director at Treasury Strategies, a consultancy. Carfang doesn’t buy the suggestion that companies are hoarding cash. “At Treasury Strategies, we define excess cash as zero,” he says. Zero? “Everything is there for a reason,” he explains. If cash isn’t used for operations or earmarked for financing requirements, “it’s there for a rainy day — when your bank might not be there when you need it, to cushion you against an unexpected surprise in the currency market, and so on. The question is, how nimbly do you want the company to operate? How exposed do you want it to be to its bankers, or to the vagaries of the bond market, the uncertainties of monetary policy? Treasury Strategies divides cash on the balance sheet into four buckets, says Carfang. The first bucket is operating cash, to pay the bills, meet payroll, and so on. The second bucket is reserve cash, which companies hold as a precaution, in case there are hiccups in the business cycle, say. The third is accumulation cash, “a large pool of episodic cash, either being saved for a specific event or because the company just had an event” — spun off a subsidiary or just issued bonds, for example. And the fourth bucket is stranded cash, money that must be kept to meet obligations, such as loan and collateral requirements, or escrow agreements. Operating cash in U.S. companies is relatively low, says Carfang, thanks to increased efficiency in cash management and working capital management. But reserve cash has grown, as a result of uncertainty and a perceived lack of investment opportunities, he says. Much of that uncertainty, he believes, is due to “the massive intervention in the money market” on the part of the central banks, including the Federal Reserve. Edward Teach is executive editor of CFO.